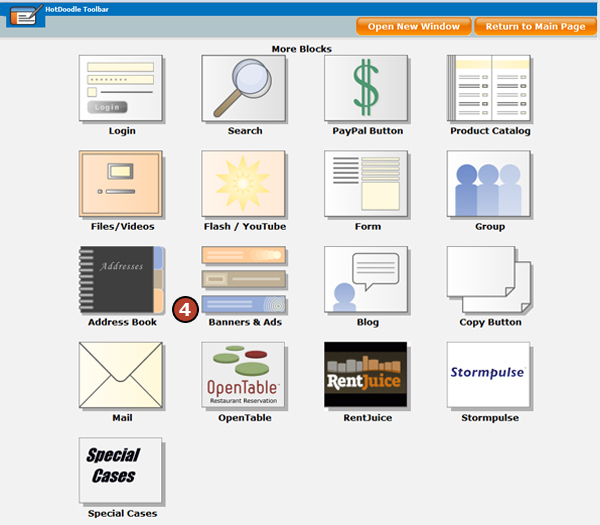 HotDoodle integrates with Google Adsense to display Google banners on your website. Google banners are added with the HotDoodle Banners and Ads Block in the Google view. Google allows three banners per web page. 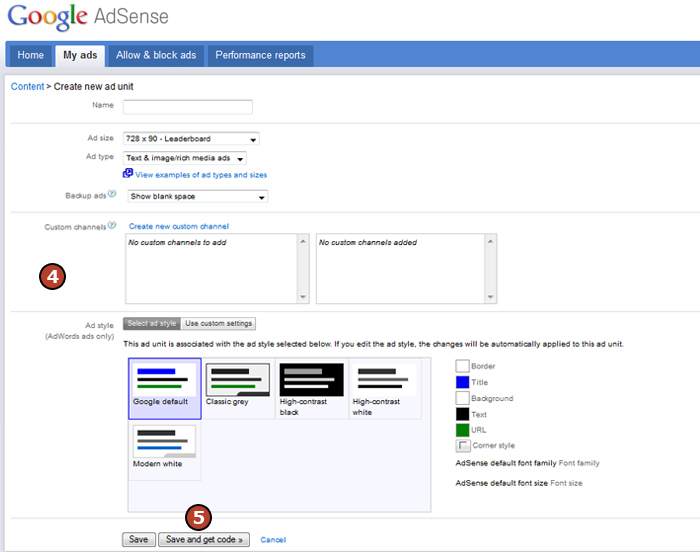 To display Google banners, first create a Google Adsense account. Visit www.Google.com/Adsense or click here to sign up. 1. Login to your Google Adsense Account at www.Google.com/Adsense. 2. Click on the "My Ads" tab. 3. 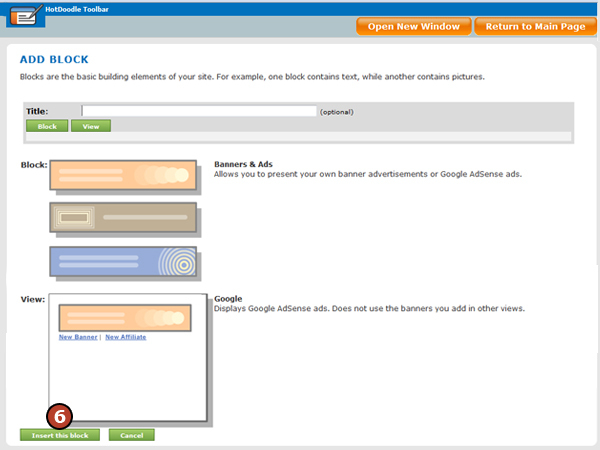 Click on the "New ad unit" button to create a banner ad. 4. Enter the information and make selections to create the new ad. 5. Click on the "Save and get code" button to view the code for the new banner. 6. Copy the four codes in red to add to your HotDoodle Banners and Ads Block. 7. Click the "Close" button. Once you have created the Google banner in your adsense account and copied the code, the next step is to paste the code into the Banners & Ad Block. 3. On the webpage, click on the "Add Here" button where you would like to add the banner. 4. Click on the "Banners & Ads" block under More Blocks. 5. Click on the "Google" block view. It may look as though nothing was added, but the Banners and Ads Block appears empty because no banner code has been added to it yet. 7. 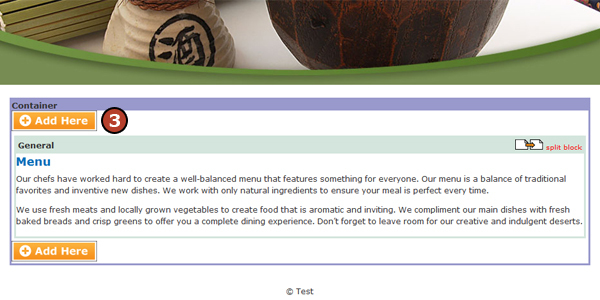 Click to add a checkmark to the checkbox next to "Configure Blocks"
8. 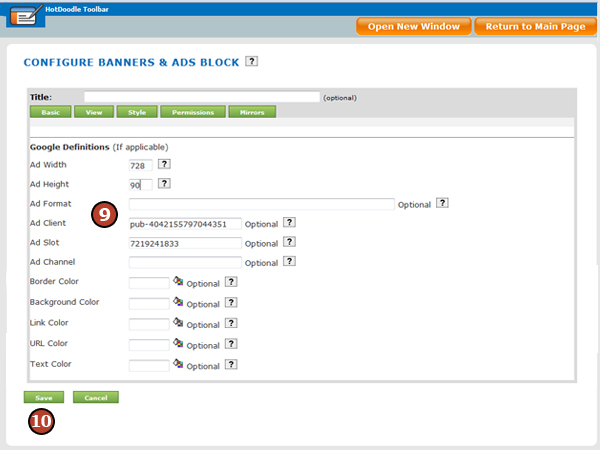 Click the "Configure Banners & Ads Block" link to add the banner code. 9. 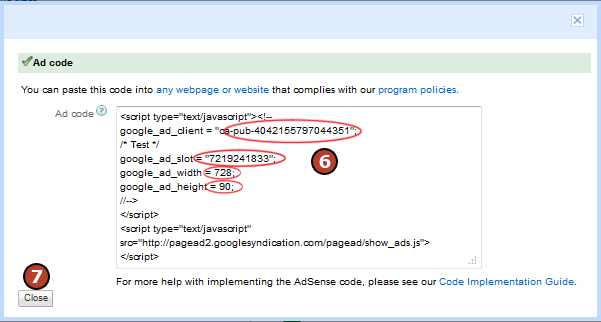 Paste the four codes from the Google Adsense ad you created on the corresponding lines.